Have you heard of MarketMuse? If you have a particularly content-heavy website, whether eCommerce or simply informational, then it’s worth taking the time to learn more about this incredibly handy tool. This nifty little marketing application helps you quickly scan all the copy on your website, to identify gaps in your content and improve optimisation. Need help writing your blog? check out our tips on writing solid blog articles. You may have been so heavily focussed on a set of specific terms, and completely forgotten to address a phrase that could be generating even more sales. That’s why this tool has become extremely popular among digital marketers. For example, if you are a florist in Melbourne, you may have spent hours optimising your website for phrases such as “Melbourne florist” or “Buy flowers Melbourne” – but if you scan the content on your website, you may also see there is not one instance of other popular phrases such as “Red roses Melbourne”. Furthermore, MarketMuse gives you the ability to compare your website content with any of your competitors. Simply crawl their website to compare with your own, and identify what key search phrases they are targeting, and how well they are ranking for those particular phrases. So, what exactly is MarketMuse? MarketMuse is a cloud-based tool, which means there is no need to download software directly onto your computer or device. The concept was developed in response to Google’s Hummingbird update back in 2013, in which the search engine ranks websites based on their relevancy and related terms. The team at MarketMuse developed an algorithm of their own, which identifies potential terms that relate to your pre-existing keywords. The interface is incredibly user-friendly, which means it can be utilised by agencies and small business owners alike. There’s even a free account which offers a fairly robust solution, so anyone can trial the services before signing up for the premium upgrade. In a world where eCommerce offers unlimited opportunities for businesses that can utilise data, MarketMuse is an essential tool for growing sales and generating new leads. It not only helps you measure the success and relevancy of existing SEO efforts, but provides you with a list of content gaps that could help you expand or hone your efforts to be as efficient and effective as possible. You can use MarketMuse to crawl individual pages to check their relevancy for a specific topic, or crawl your entire site to see a list of common key phrases. It shows you how many mentions of each key phrase you have within your content, and then suggests additional phrases that may relate to your products and/or services. To start, simply enter your website URL address and prompt the application to start crawling. This can sometimes take a while, especially if you’ve got 1,000+ pages, but MarketMuse even send you an email to alert you of when the process is finished – so you can go off and do other things. 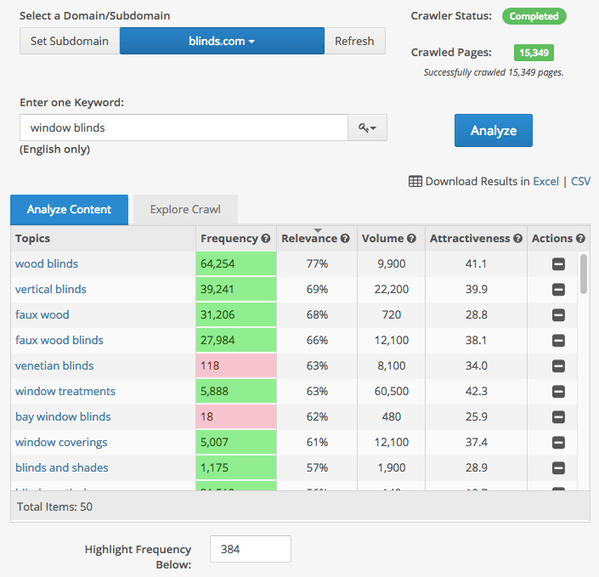 Once the crawling is completed, you will receive a full analysis of the keywords found within your site. It ranks all key phrases based on relevancy, and then suggests similar topics that are missing from your content. This will allow you to revisit your website content. If you have too many instances of one word and few of another, it may be a case of simply replacing them. However, if there are gaps of entire topics on your website, you may want to look at creating a series of dedicated landing pages to improve your organic rankings. If you have identified that one of your competitors is ranking far higher on Google for a specific key phrase, you can also use MarketMuse to determine where on your site you could direct your short-term SEO efforts. You can enter the specific search term and analyse your site based on that phrase. MarketMuse will then provide you with a run-down of the pages that contain the most instances of that phrase, along with a comparable score. From this point, you can easily identify pages that have the lowest score and MarketMuse will also offer suggestions for improvements – helping your increase your relevancy for that particular phrase. Got it? What are the benefits of identifying content gaps? Managing content and SEO is a complicated and on-going process. Unfortunately long-gone are the days when you could just write a stack of keyword-heavy content pages and let them do the work. Nowadays companies of all sizes and industries almost always require a full time person or team to manage their content and help them compete for the highest ranking. MarketMuse relieves some of the effort involved with SEO and content management – by analysing your website in its entirety, and suggesting areas for improvement. It saves time and more importantly, it saves money. By identifying what terms you are already ranking well for organically, you can free up some of your Adwords budget to focus those resources somewhere else. 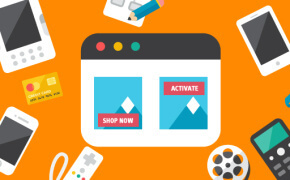 If you’re not investing in PPC or Google Shopping campaigns, then MarketMuse is also helpful for generating topical information – providing insightful topics for blog posts or news stories. MarketMuse allows you to identify what terms are most relevant to your products and/or services, and then tailor your content accordingly. You may even be able to find content writers who specialise in these specific topics and contract them to write on your behalf. 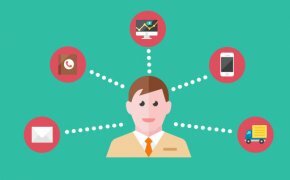 How can I ensure my website content is effective? The best way to determine just how relevant your website is for related search terms is to speak to someone who knows what they’re doing. If you are interested in reaching more people through optimised content strategies, then speak to the team at Digital Thing. We work with a range of specialist content developers and SEO experts, who keep up to date with the latest Google changes and trends. We can work with you to overhaul your website content, optimise product descriptions and even create a topical blog to help you build an online community around your brand. Call us now for a no-obligation chat and find out what we can do for you. We’ll take the time to understand your business and offer a few suggestions of ways to improve your sales and reach.